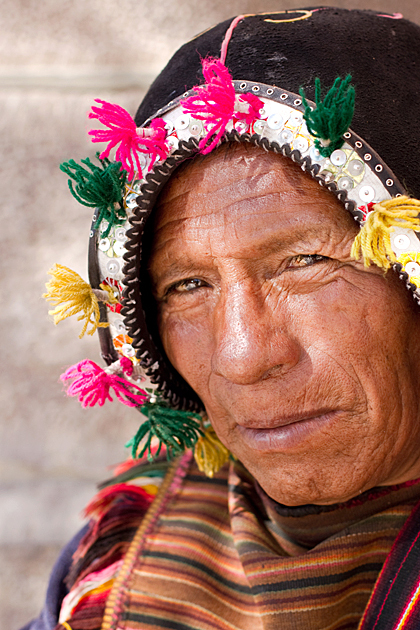 We’ve lived in quite a few countries, but I don’t think we’ve ever encountered such compelling faces as in Bolivia. The people here, while often shy about getting their picture taken, are almost always courteous and happy to talk. 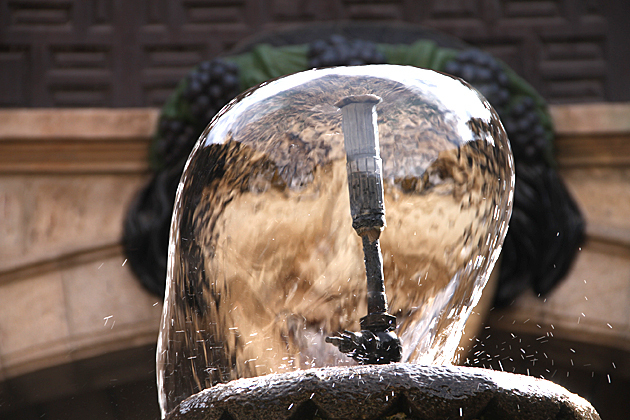 Here’s another random batch of images we’ve taken in Sucre during last few weeks. 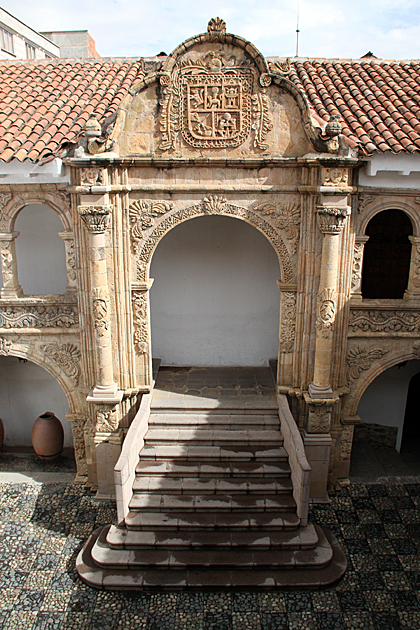 La Paz has a number of intriguing museums, including one dedicated to the unfairly maligned coca leaf, and another which takes a look at the War of the Pacific, when Bolivia lost its ocean access to Chile. Though we’re normally big on museums, we were constantly distracted by the bustling street markets, and never made it to most of La Paz’s. But we dared not skip out on the Museo de Etnografía y Folklore, near Plaza Murillo. 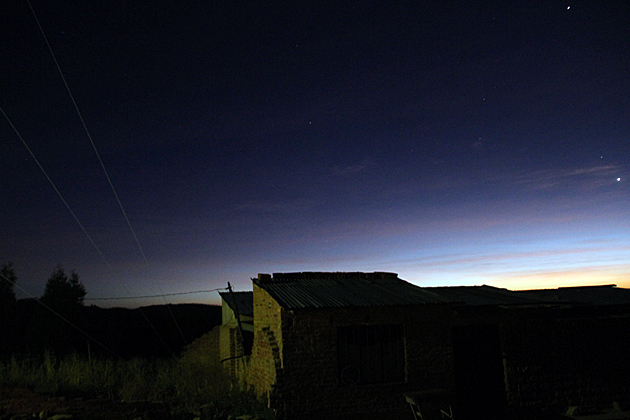 Cochabamba, with its wide streets and western-style restaurants, feels like a city awash in money. 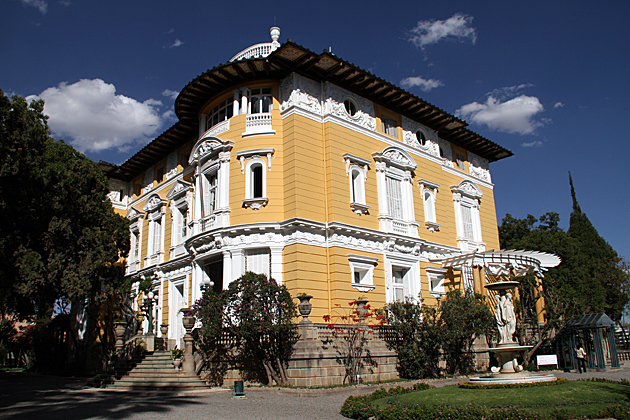 Although that’s not the case at all, at least one spot in town does exude wealth and genteel living: the palace of Simon I. Patiño, alternately known as the Tin Baron, or The Andean Rockefeller.